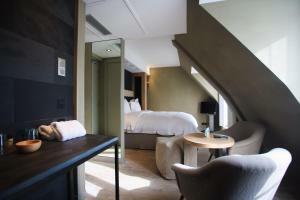 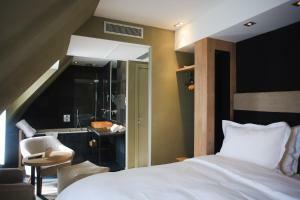 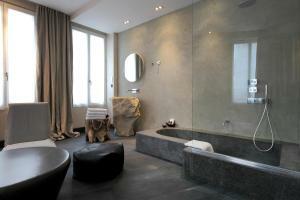 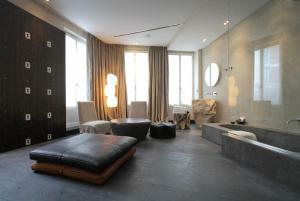 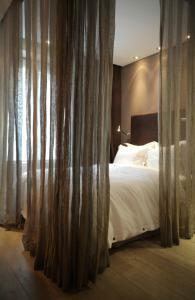 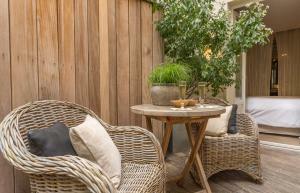 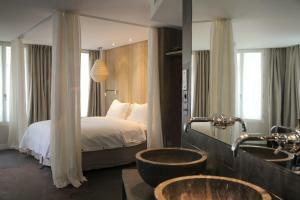 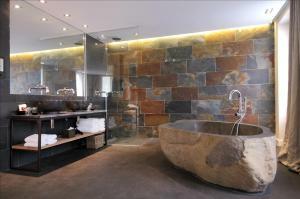 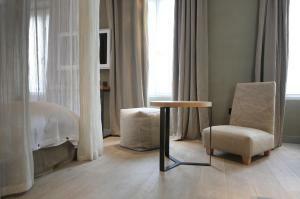 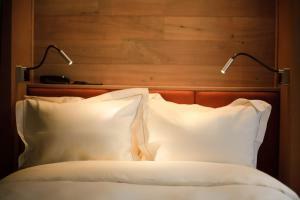 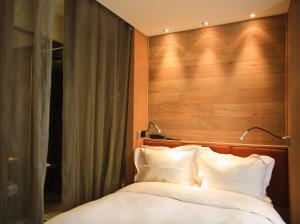 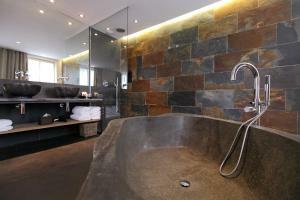 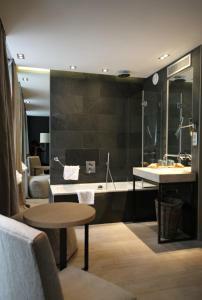 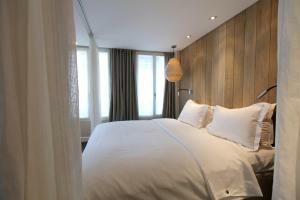 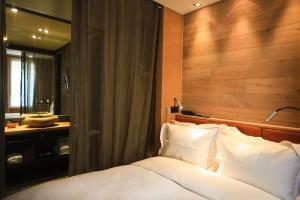 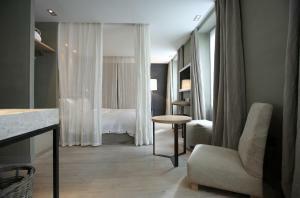 The Hidden Hotel is located in central Paris, 450 metres from the Arc de Triomphe and the Avenue des Champs-Élysées. 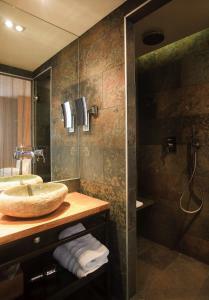 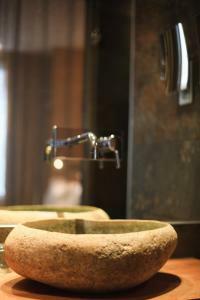 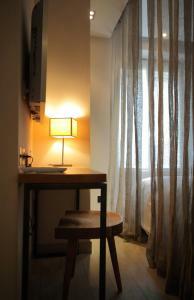 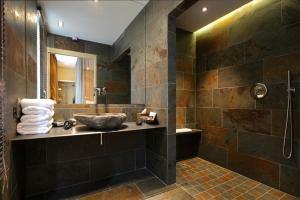 It offers modern décor with a blend of natural materials. 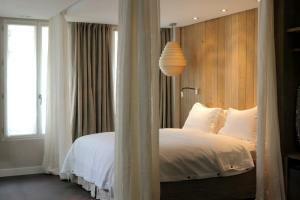 Each air-conditioned room has a unique decor with a combination of wood, leather and fur. 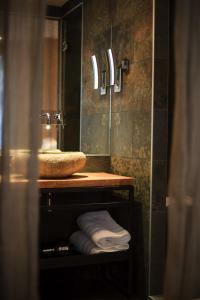 They are equipped with free Wi-Fi access, satellite channels on a flat-screen TV and bathrooms lead directly to the bedrooms are tastefully furbished with marble and stone. 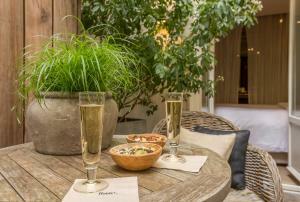 There is plenty to explore in Paris with Parc Monceau at a 15-minute walk from the Hidden Hotel. 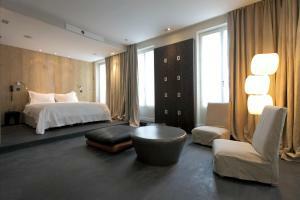 Metro Charles de Gaulle - Étoile is 400 metres from the hotel, which can take guests to all of Paris famous sites. 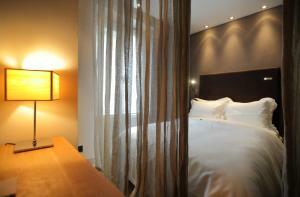 Rate: € 129.00 ... € 504.75; select dates below to get current rates. 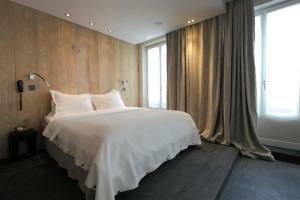 Uniquely decorated, this air-conditioned room features a queen-sized bed, a flat-screen TV with satellite channels and a private bathroom with shower. 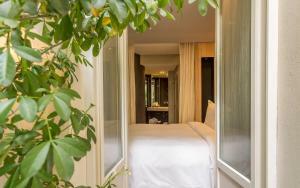 Uniquely decorated, this air-conditioned room features a private terrace, queen-sized bed, a flat-screen TV with satellite channels and a private bathroom with shower. 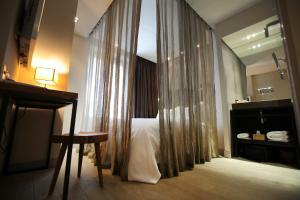 Uniquely decorated, this air-conditioned room features a king-sized bed, a flat-screen TV with satellite channels and a private bathroom with bathtub.